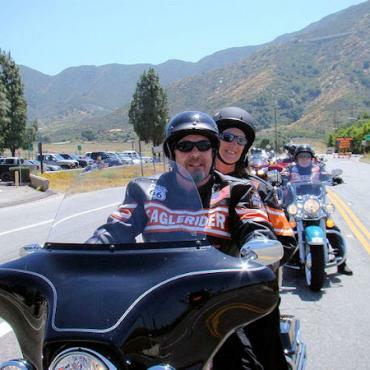 This world famous guided Route 66 motorcycle tour travels the original Route 66 over 2,400 miles from Chicago to Los Angeles, crossing three time zones and through 8 States: Illinois, Missouri, Kansas, Oklahoma, Texas, New Mexico, Arizona and California. 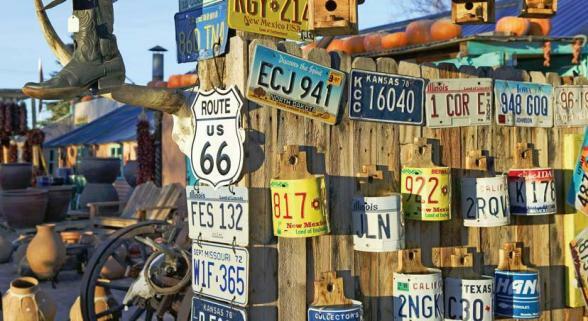 Route 66 has been the path of migrants, dreamers, desperadoes and an entire generation of vacationers discovering the way west. The 1950's were the Route 66 glory days, when thousands of cars rode bumper to bumper behind each other to experience the western frontier. Hotels, motels, gas stations, classic restaurants and "new" America sprang up everywhere. Today, nostalgic Route 66 is pure Hog Heaven. 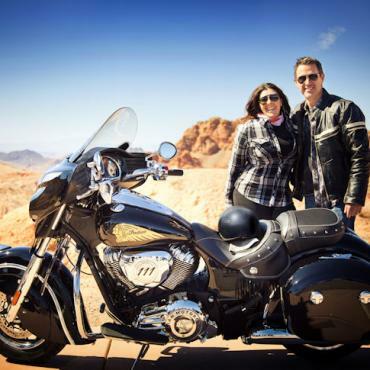 Ask about our add-on tour that kicks off in Milwaukee with a visit to the iconic Harley-Davidson Museum before heading off to the start of Route 66 in Chicago to join your fellow riders. 2019: 11 April, 2 May, 9 May, 16 May, 30 May, 6 June, 27 June, 4 July, 18 July, 1 August, 15 August, 29 August, 4 September, 5 September, 12 September, 19 September, 26 September, 10 October and 24 October. Advance registrations for 2020 are now available, please contact Bon Voyage for further details. 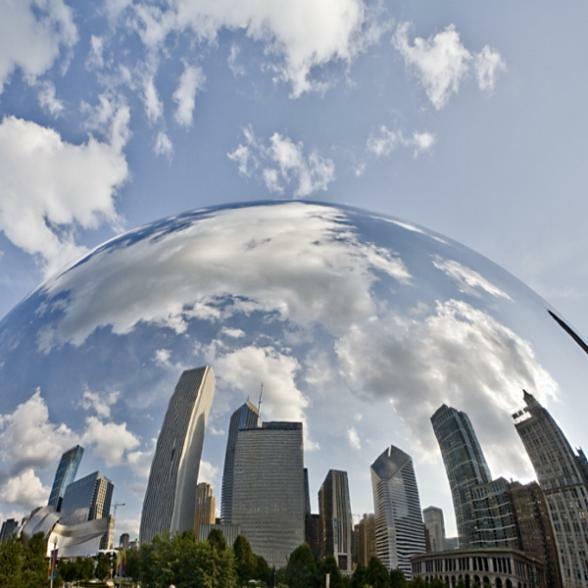 After months of anticipation, the day to embark on this incredible journey has finally arrived...welcome to Chicago! Make your own way to your hotel and enjoy a few hours free team. An EagleRider Tour Leader will be in your hotel lobby from 4pm to 6pm and you'll meet your fellow riders during your Welcome Dinner. Today we put rubber to the hallowed pavement of Historic Route 66 for the first time. We are all thankful today that we are the lucky few heading into a new adventure and not to an office. The road is our home now, and adventure is our calling. 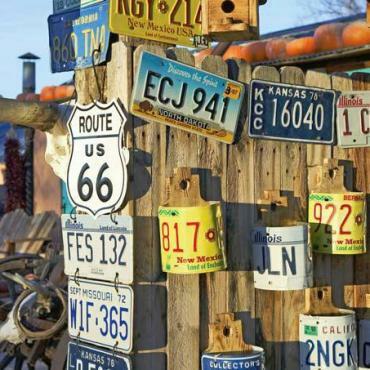 2400 miles of concrete, steel and the grandeur of Route 66 lie ahead. The great city of Chicago disappears behind us as we set our course west towards the birthplace of the President that changed the course of American history forever, Springfield, Illinois. Our first stop today will be the well known Route 66 Museum in Joliet, Illinois, a must for anyone travelling this great road. 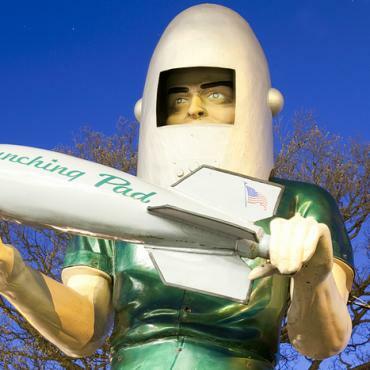 We’ll be sure to wave “Hello” to the Gemini Giant standing guard at the entrance to Wilmington and Route 66 West. 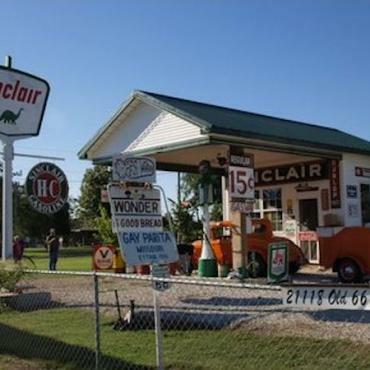 The Standard Oil gas station in Odell reminds of days gone by and the many gas stations that stayed open day and night to serve the endless streams of cars and families heading west to find their fortune. The excitement is just beginning today. As we enter St. Louis, Missouri, we immediately notice one of the most recognisable structures in the US, the Gateway Arch. This gleaming, stainless steel structure welcomes travellers heading from East to West. It lies on the banks of the Mississippi and is an absolute engineering wonder. Be sure to use your leisure time to visit and explore this truly amazing landmark. And for all of you nostalgic Ice Custard fans, be sure to visit the world famous Ted Drewes frozen custard stand for a frozen treat. St. Louis offers such numerous attractions as the St.Louis Cardinals baseball stadium, the Anheuser Busch brewery, and exciting trips on the "Mighty Mississippi." 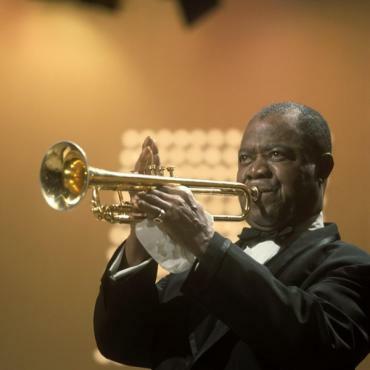 In the evening you'll be sure to visit one of the many St Louis Blues Clubs. Today you'll be amazed with the fabric of countryside and the scenery the Midwest has to offer. The roads out of Rolla are a riders dream. We begin to navigate the gentle winding roads that put us into the rhythm of the ride. We take our time to through the “Devils Elbow” to view what once was the deepest road cut in Missouri. After our visit to the Devil, we make our way out of the valley where we are immediately bombarded with fields and pastures of green ushering us down the road. 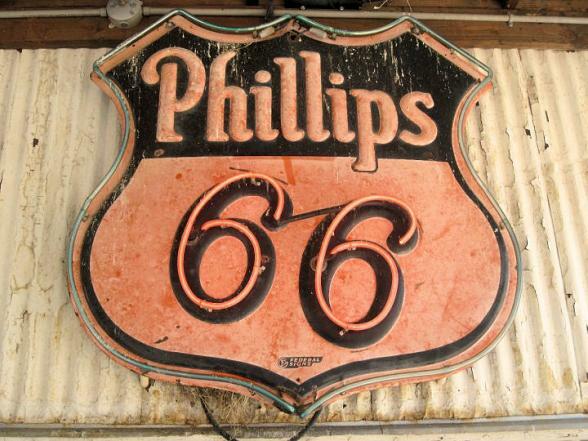 Soon we’ll get a taste of what the real Route 66 was like. You see, when Route 66 was in its heyday folks knew this was an opportunity to make a living selling all sorts of sundries, offering hospitality and lodging to weary travellers, and refilling their car's thirsty gas tanks every few hours. Many savvy businesses came up with all sorts of interesting ways to grab attention and get folks to stop and spend a little money while filling up. One of the few characters left on the Old Route 66 stills exists in Paris Springs Junction, Missouri. The Gay Parita Sinclair has the charm with a bit of panache that shows us how they drew customers in by the hundreds. We end our day in Joplin. For a well deserved night’s sleep. We start today early to take a voyage to the Route 66 Museum in Clinton, Oklahoma. This is a favourite of all the museums along the route, as it walks visitors through each era of Historic Route 66 from the 1920’s through present time. Not to mention they have an incredible gift shop with some of the best Route 66 memorabilia anywhere. Oklahoma is where it all started. The folks that took the undertaking of creating “The Mother Road” were from Oklahoma. 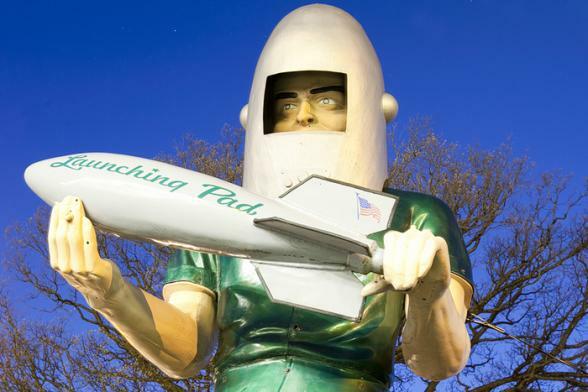 All across this state and scattered along your ride today you’ll see a plethora of Googie architecture that was predominant for so many years. The buildings are immediately identifiable. Your head will be on a swivel looking at all of these small, unique landmarks that pepper the country side. From Clinton we will settle back into our saddles and ease our way across the northern stretch of America’s largest state, Texas. Rolling green meadows and cattle ranches lend to a landscape that has become part of the mystique of Texas. 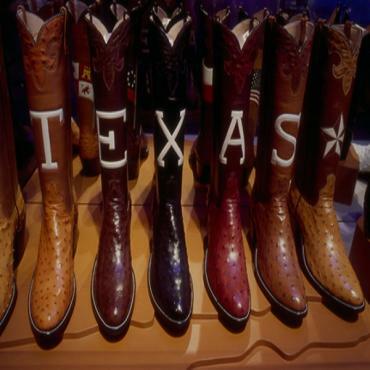 When we get to Amarillo, may we suggest you visit The Big Texan Steakhouse. If you’re hungry you can take a seat at the big table and try your hand at finishing their world famous 72 ounce Rib Eye steaks with all the trimmings, in under an hour. For those who want a few more miles under their belt today, you might explore the stunning Palo Duro Canyon. We rise early for our journey into Texas passing miles of prickly pear en route to the "panhandle" and continuing through the oil town of Shammrock. 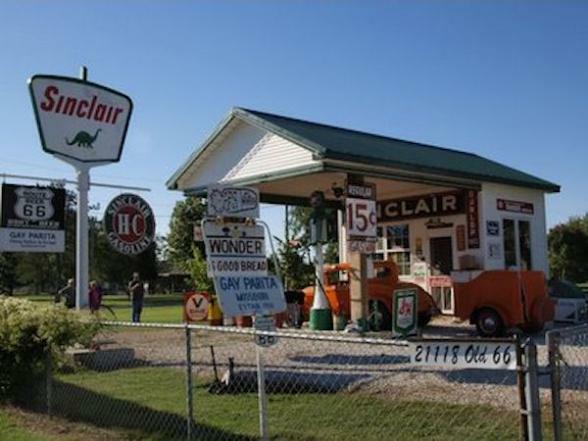 We’ll gas up at one of the original gas stations of the old Route 66 and then on to McLean. Get ready for a steak "Texas Style", like a 4 1/2 pounder! We ride up to Amarillo, up in the northern Panhandle. Amarillo may seem cut off from the rest of Texas, but it stands on one of the great American cross-country routes. Say goodbye to the wide open spaces of Oklahoma and Texas as we make our way into the heart of the Western United States and one of her most beautiful cities, Santa Fe, New Mexico. This quaint mountain town is nestled high in the Sangre de Cristo, or Blood of Christ, mountain range, which are thought to have been names for the deep red hues of the mountains during some sunrises and sunsets. 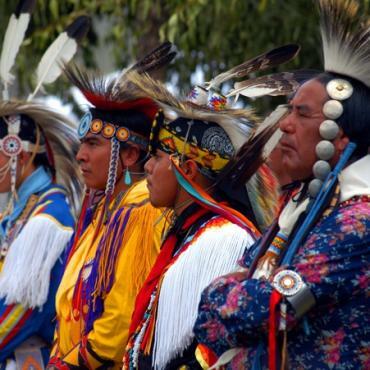 Santa Fe is rich in Spanish and Native American history and culture, a unique blend that is reflected in the local art, architecture and cuisine. Our home for the next two nights is a small boutique hotel in the heart of Old Santa Fe. 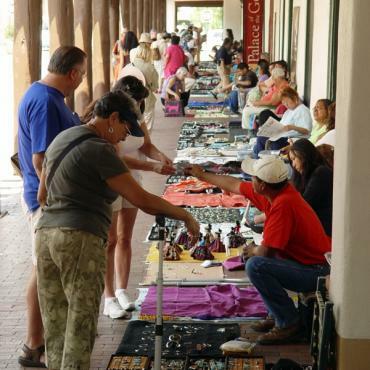 You can’t spend more than just a few minutes walking the narrow streets of Santa Fe before you fall in love with this city and her colourful people. The road leads down the hill this morning and we get a chance to see the lands that entranced and sustained the Native Americans for centuries. Albuquerque is high desert and we see a change in scenery. The red dirt plateaus and cactus blooms are an artist’s dream. There are some examples of adobe architecture along our ride this morning so take some time to see how beautiful and unique they are. As the day goes on we start to see rocks. Why are rocks interesting you say? They're petrified! The Petrified Forest National Park is a must see. We’ll stop in and watch a short video that explains it all. Once we leave the visitors centre you’ll see miles of petrified logs, rocks, and artifacts. 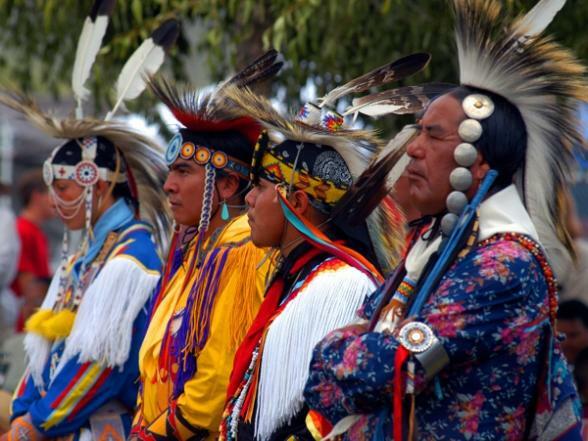 New Mexico is the home to one of the oldest constantly inhabited cites in the America. Sky City is Native American city on top of massive rock outcrops. We’ll detour to see this once in a lifetime view before continuing on to Gallup. 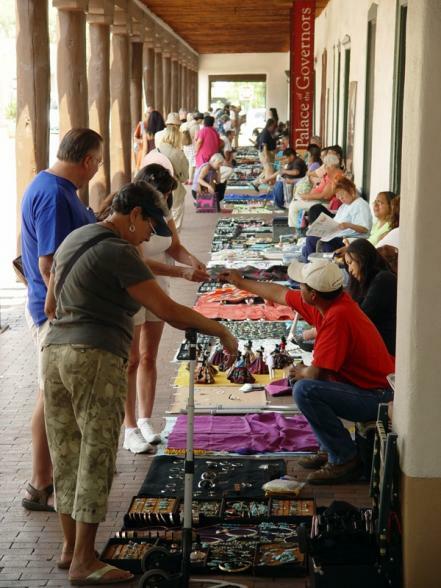 If you haven’t purchased any Native American jewellry or artifacts yet, Gallup is the place to buy these. Its seems that our ride is just getting better and better each day. 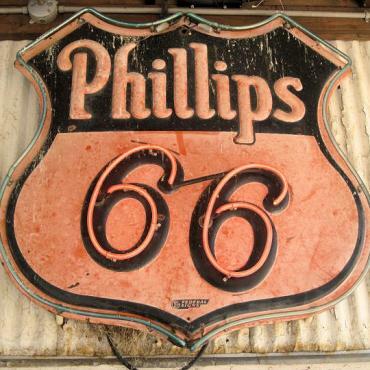 Many of the Route 66 riders are aware of these famous landmarks and today you’ll see a few more. The hotel rooms in Holbrook, AZ. that are built to look like teepees is on the list. The Eagles band must have passed through Winslow, Arizona and had some time on their hands. There is a fantastic and must have photo opportunity here. 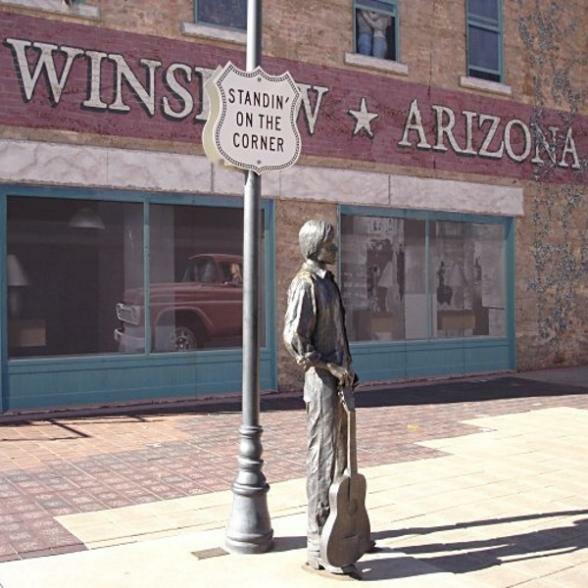 Once we finish singing the song “Standing on a corner in Winslow Arizona” a few times in our head we remount and continue on to Flagstaff. The miles of road just before Flagstaff are great riding. We’ll stop in Flagstaff and peruse the local flavour. Flagstaff is turning out to be a burgeoning town with a hip, uptown flair. Good architecture isn’t this town’s best known feature but there are still a few hidden old route 66 remnants to discover. Next up: The Grand Canyon. It is GRAND. It’s hard to explain just how big and marvellous the Grand Canyon is. No picture truly captures the grandeur and enormous size of this natural wonder. Here is where your tour leader shines. We’ll show you how to find the best photo stops and navigate this park with ease. Today is an opportunity to just admire the park at your own pace, take in a 3D movie about how the canyon evolved, or to get that just right picture. Eagle Rider can also assist you taking an aerial trip of the canyon. Helicopters are running at full steam ferrying guests to the best seat in the house. Take a half hour or hour tour of the canyon by yourself or with some friends. You won’t be disappointed with this option. You’re tour leader may offer a side day trip today to the east around the canyon for a different view of it all. The Desert View Watch Tower on the east side offers a glimpse of the canyon you will certainly appreciate. Today will be one of the days in which you will fulfill one of your dreams of exploring one of the Seven Wonders of the World. For those looking to get a real "Bird's Eye View" of the Grand Canyon be sure to let us know and we will arrange a morning helicopter ride over the heart of the South Rim. Later, we will have plenty of time to ride along the rim and stop for amazing vistas and photos. We will leave the Grand Canyon and pick Route 66 back up in Williams, Arizona before heading stops in the famous 66 towns of Seligman, Peach Springs, and Hackberry. They call it an adult playground. Las Vegas offers fine dining, gambling, grandiose shows, and entertainment galore. It's all available in Las Vegas. Vegas offers everything your heart desires. Outside of the Strip, Las Vegas has great attractions in Hoover Dam, desert plains driving, and beautiful night rides. Remember what happens in Vegas stays in Vegas! The Mojave desert offers stillness and interesting colours that only a few riders ever discover. One only needs to set the throttle on cruise and enjoy the ride. Originally Route 66 wandered its way into the San Fernando valley via old trails that were difficult to pass. Today we work our way into town to Pasadena. 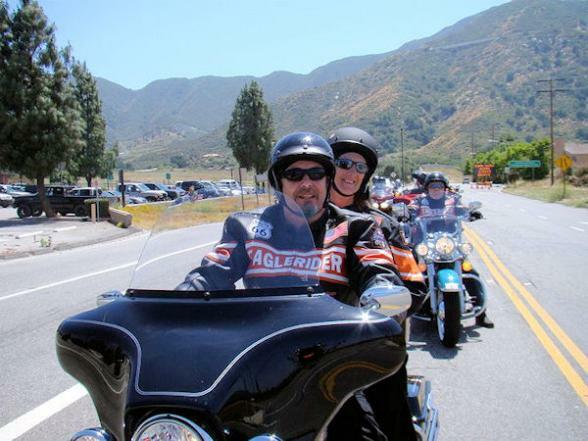 Route 66 has been resurrected in the drive into Pasadena and all along the way. All of the small towns have embraced "The Mother Road" and today the road is alive and well. We are almost home now. We gather our belongings and ride into one of the most famous cities in the world. Hollywood stars are as plentiful as gumdrops and if you look close you just might see one as we trek along the final leg of our journey. 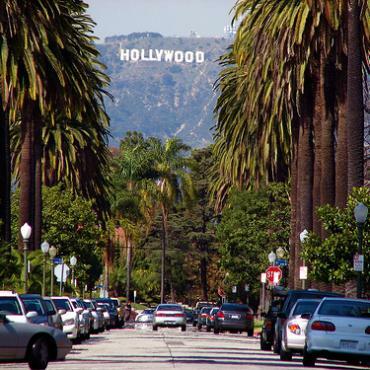 Keep that camera handy as Los Angeles has so much to see that you just might miss it if you’re not ready. 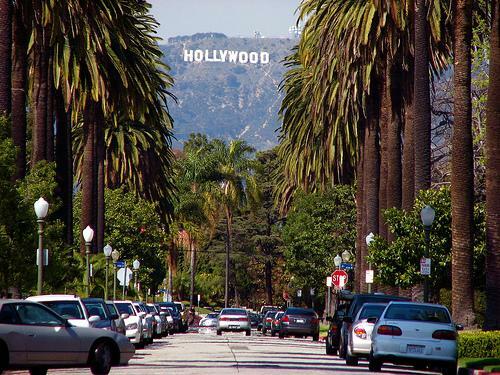 Glitz, glamour, palm trees and fresh ocean air permeate our drive westward. Your Tour Leader takes you to the final destination of Route 66 where you can see the Santa Monica pier and visit the plaque that announces that you have arrived at our final destination. After we linger and admire this sight we’ll grudgingly take our trusty bikes back to EagleRider for drop off. Tonight we celebrate. We’ll gather at the restaurant and reminisce about our trip together and bond relationships that were forged over this ride. It’s the last night of the ride but the beginning of a long friendship and many stories. Sadly, today it's time to head home. Want to extend your holiday? Perhaps a week on the beach in Hawaii or maybe a stop on the way home in New York or Boston? 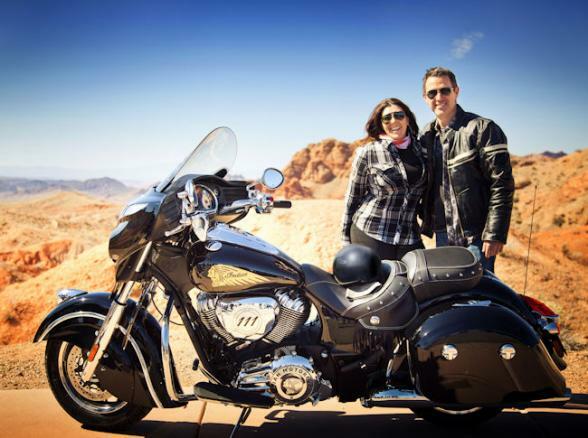 Call Bon Voyage to discuss your Harley holiday options.